I'm always looking for new ways to change up my look. I change my hair color frequently, as well as the way that I do my makeup. A more subtle way to change up your look is to change your eye color, and that's what I did today using Solotica Official Color Contact Lenses. 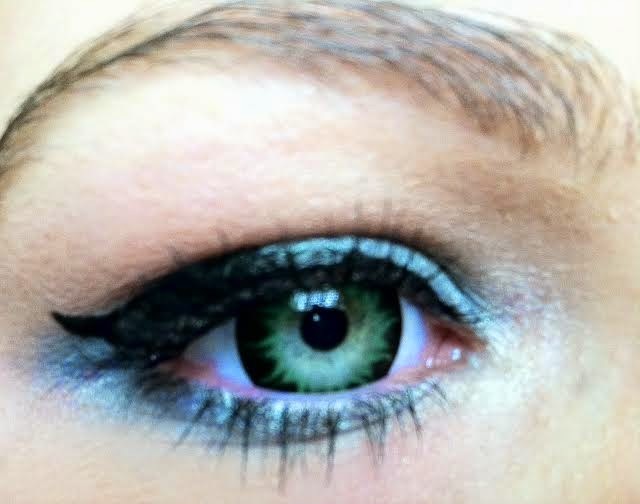 The Solotica contacts that I chose are the hidrocor Color Contact Lenses in the shade Topazio. These are a sky blue with a hint of yellow in the center. This allows them to blend really well with my green eyes, and they look extremely natural. These are yearly lenses, so you'll get a lot of wear out of them, which is really nice. I love when I can wear my lenses for long periods of time. Another perk is how comfortable these are. You really can't feel them when they're in, which is nice. But, I'm a regular contact lens wearer, so I'm used to wearing contacts on a regular basis. Overall, I think these contacts are gorgeous, very natural and a nice way to change up your look without going overboard. I took off the lashes and took out one lens for the next two pictures so you can really see the difference. Today, I wanted to share a quick review and a coupon code with you. A while ago I was sent two pairs of contacts* to try from Pinky Paradise. The two pairs I chose are violet and aqua. These are circle lenses, so they make your irises appear larger, so if that's something you're interested, I suggest trying them out. These contacts come in an assortment of colors and patterns, and are perfect for everyday or just something different for a special event or Halloween. Each lens comes in its own individual vial, and they sent me two adorable contact cases to store them in. If you want to change up your look, this is a good way to do it. Also, these are prescription lenses, so if you are a regular contact wearer, these should be no different for you. They are a bit larger, but once you're used to them, they're great. How pretty are those contacts? Also, they're yearly lenses which means if you take care of them, they will last you a full year! You can pick these up at Pinky Paradise. The purple pair is $19.90 and the aqua pair is 25.90. BUT! I have a coupon code for you! Make sure you use the code when you place your order! Spooky Eyes sent me a pair of contacts for review* last week, so I wanted to show some pictures and give some information on them. 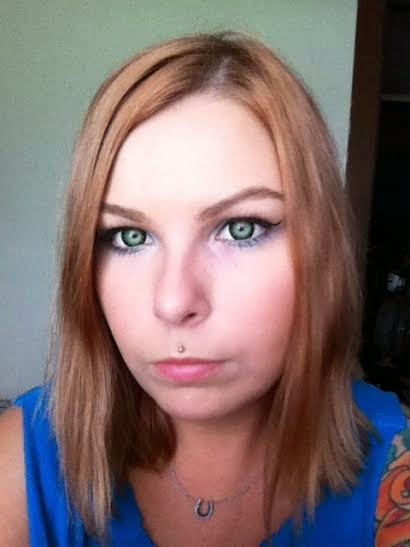 The contact lenses I received are from the DreamEyes line at http://www.spookyeyes.com/. I chose green because I already have green eyes but I wanted to enhance them. 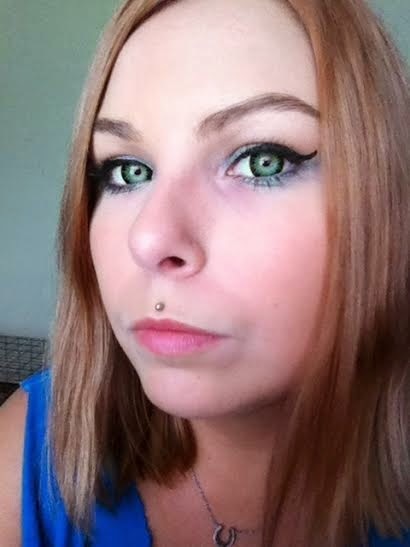 The green contacts I got were the Spiral Green lenses. And here are some after pictures wearing the contacts from Spooky Eyes. 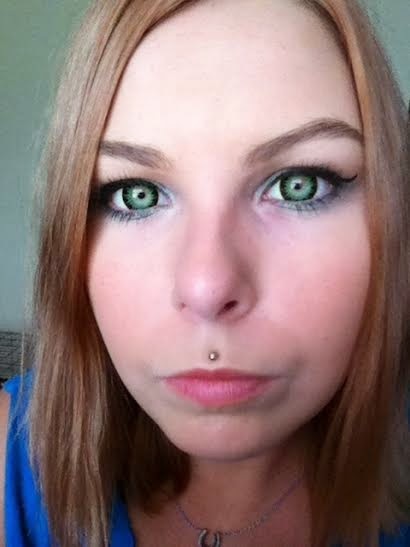 You can purchase these contact lenses for $27.95 for one pair at http://www.spookyeyes.com/. These are NOT prescription lenses! If you don't have 20/20 vision, you will need to wear glasses with these lenses. These are large, and they make your eyes look huge and amazing. Despite being larger, they are still easy to put in. It may take a few minutes for your eyes to adjust, but after a few minutes you won't feel them anymore. These will last up to 4 years sealed, after opened they last for 1 year with proper care. I totally recommend giving these a shot if you like changing up your eye color or enhancing your natural color. 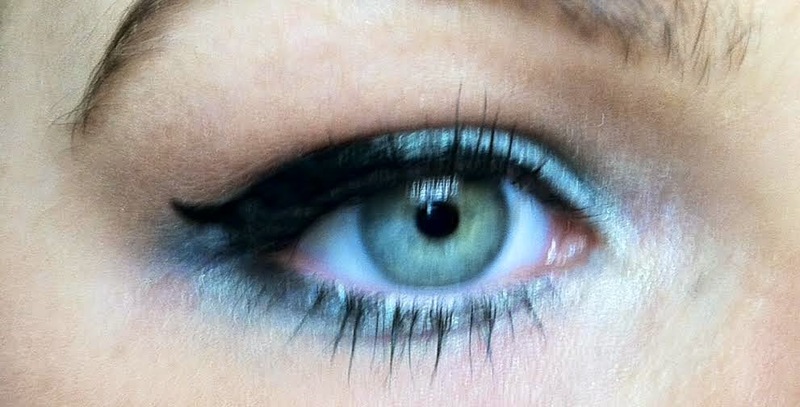 More contact lens reviews coming up next week!